If you think you're drinking the right amount of water for weight loss, think again. Getting enough water is an important yet overlooked aspect of losing weight. It is also by far the easiest aspect, too. That might be because drinking water seems obvious. After all, we do it every day. But a lot of us still don't drink enough, hurting our chances of success. There is no exact amount of water that you need to lose weight. Some of it will depend on your size and how much water you get already from the food you eat. Still, there are some general rules of thumb that apply here about water for weight loss. Medical experts mostly agree on how much water we should be drinking each day if you eat a normal diet. The question is: is that amount different if are on a weight loss diet? 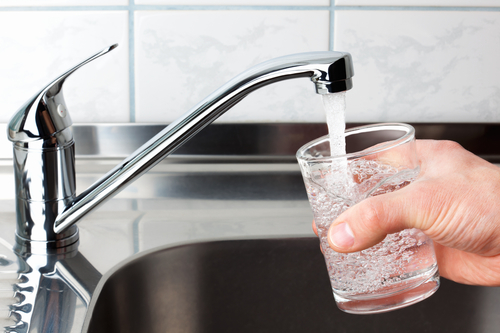 Most doctors say to drink enough water that your urine is clear (or close to it). They also recommend that you drink enough that you go frequently throughout the day – although “frequent” will look different for everybody. What about drinking eight 8-ounce glasses of water a day? The 64-ounces-a-day minimum water intake was once widely accepted. But upon further investigation researchers found that there was no evidence to support this as a strict rule. Nowadays most doctors say that the right amount of water will vary from person to person. Should Dieters Drink More Water? These are compelling reasons to make sure you stay hydrated. Especially if you are trying to shed body fat. Just don't overdo it. Water will help with weight loss but only to a point. Pay attention to how you feel (and your urinary patterns) and you'll know whether or not you've had enough. Even though the right amount is going to vary for everyone, we can roughly calculate how much daily water you should aim for. Divide the number of minutes you've exercised by 30. Multiply that number by 12. Add that to the result you got above to get the total amount of water you should drink per day. Even though this is a decent model to use, it is only meant as a very rough guideline. Getting this specific is not practical for busy people with more important things to do. Recommended: An intriguing tea-based weight loss solution called the Red Tea Detox. That's really all you need to do to make sure you're drinking enough water for weight loss. Spending any more time analyzing is just a waste of time. Like this post? Save it to your Weight Loss board on Pinterest!